Santa at BSM-Streetcar Rides, Santa, Decorations, Refreshments. 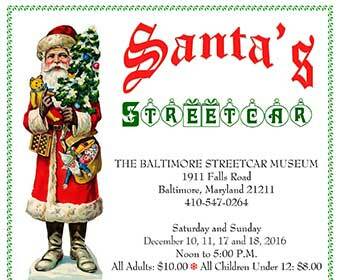 Ride an authentic street car with Santa. Enjoy holiday music and enjoy a traditional train garden too.